3D Pest Control is located in Friendswood, Texas. 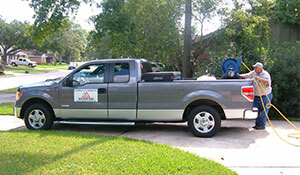 For over 20 years we have provided our pest control service throughout the greater Houston area. Residential and commercial properties often become infested with unwanted insects or other undesirable pests. 3D Pest Control will help you rid your home or property of these trespassers. We have been in business since 1984 and offer you professional pest control at competitive prices. Providing Residential and Commercial Pest Control service to the following cities: Alvin, Clear Lake City, Deer Park, Friendswood, Houston, Kemah, La Porte, League City, Manvel, Pasadena, Pearland, Sagemont, South Houston, Webster, Tiki Island, Galveston, Seabrook, and Nassau Bay.